This is My #PerfectSleepingSpace – What’s Yours? 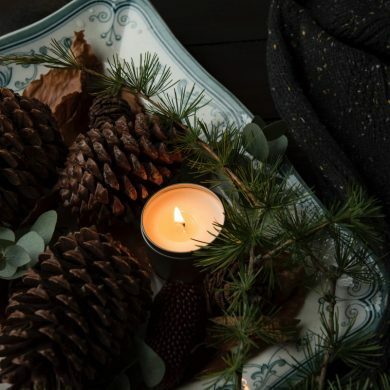 I have quite a lot of decorating I want to do in our house this year; we’ve been in the place for over 13 years and parts of it is looking pretty tired. So am I, for that matter! 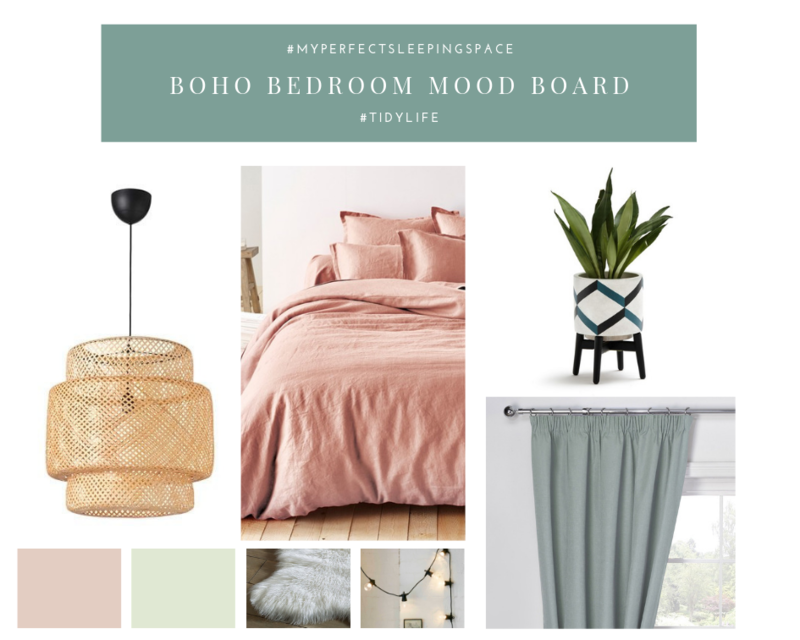 Luckily, I’ve been inspired recently to plan a master bedroom revamp, having read a handy ebook recently by Julian Charles about creating the perfect sleeping space. Hopefully creating a new look will ensure both the room and myself look and feel more refreshed! After all, getting a good night’s sleep is so important and I’m convinced that your surroundings can affect the quality of your sleep. The master bedroom in our house could be much better. The problems include things like the built in drawers needing repair, not enough storage, wallpaper peeling – the usual! The focus would be on natural materials to give an organic feel to the space. A statement ceiling pendant makes a great focal point and I love the natural texture and colour here. Bedding should be relaxed and comfy and that’s why a washed linen duvet cover and pillowcases are perfect, in a soft blush colour. The boho style planter and sheepskin rug add further texture and natural elements. My colour scheme would be muted grey/green and blush in the wall colour, bedding and curtains. It’s a subtle colour palette that aims to soothe and restore. Some string lights would add a fun, on trend and quirky element and are in fact an extra source of ambient light. Blackout curtains are essential for me in a bedroom to aid restful sleep and I would go for a soft, muted colour which I think would work perfectly in my scheme. A good night’s sleep is all about the comfort! A quality mattress and supportive pillows, soft bedding, the right room temperature. Using some tech features can certainly help with the comfort factor; consider an app controlled thermostat for total ease of temperature control. Also an app to dim or change the colour of the lighting would be an extra bonus. We have an air purifier which can be great for calming allergies, contributing to a more restful night’s sleep. Finally, we all know that going to bed a bit earlier would benefit a lot of us massively, as well as staying off our phones just before bed! Easier said than done and if, like me, you use your mobile for your morning alarm, leaving it downstairs is not an option. However, I would be quite curious to try a wake-up light alarm clock, so that may be the answer. Does anyone use one of these and do you feel it has made a positive difference to your quality of sleep? I’d love to know! 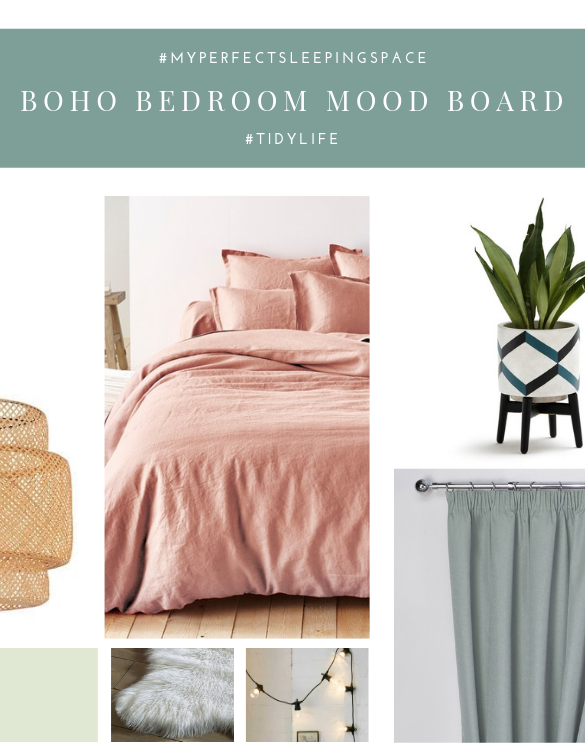 Also, what do you think of my mood board and sleep ideas – can you add your suggestions to them? I’d love to hear from you in the comments below.